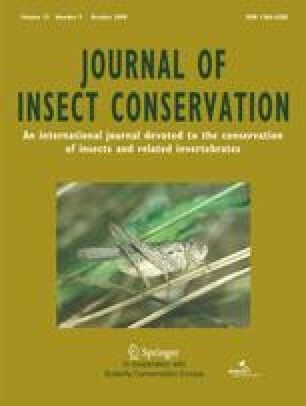 Oaks host the richest fauna of saproxylic insect in Europe. We studied habitat preferences of two beetle families, Buprestidae and Cerambycidae, by rearing the beetles from standardised oak timber baits. Species density was higher in the understorey than in the canopy; and in sun-exposed baits if within the understorey. Insolation was the most important factor affecting the composition of reared assemblages (explaining ca. 30% of variation in the data), followed by vertical stratum (ca. 10%). Local dead wood volume had no effect. The high preference for sun-exposed wood located near the ground suggests that: (i) open-canopy woodlands had to be rather common in temperate Europe; (ii) oak-utilising xylophages would benefit from restoration of management practices such as coppicing or woodland pasture; (iii) the policy of increasing dead wood volume in commercial forests is principally correct, but its success will depend on dead wood location within the forests. Zidlochovice Forest Enterprise, a division of the Czech National Forests, Inc., permitted us to work in the forests under their administration and kindly donated the wood for baits; particular thanks to J. Vybiral, J. Novotny and J. Hledik. Our friends and colleagues J. Cizek, P. Cizek, D. Hauck and L. Dembicky assisted in the field and with the logistics. The study was supported by the Grant Agency of the Czech Academy of Sciences (KJB600960705) and Czech Ministry of Education (6007665801 and LC06073).